Obituary for James Lyons, Jr. | Jones Funeral Home, Inc.
James Lyons, Jr., 82, a native of Terrebonne Parish and a resident of Houma, LA, passed away peacefully at 7:25 a.m. on Sunday, July 29, 2018. Visitation will be from 9:00 a.m. until funeral time at the church. The funeral will be at 11:00 a.m. on Friday, August 3, 2018 at Residence Baptist Church, 2605 Isaac St. in Houma. Burial will follow in Union Benevolent Cemetery. He is survived by his sons, James Lyons, III., Eric Lyons (Phyllis), Andre Lyons (La'cha), and Cordell Lyons; daughter, Katherine Sims, Carla L. Joseph (Phillip) and Lucretia L. Carter (Ernest); brother, Gerald Lyons (Ann); and a host of other relatives and friends. 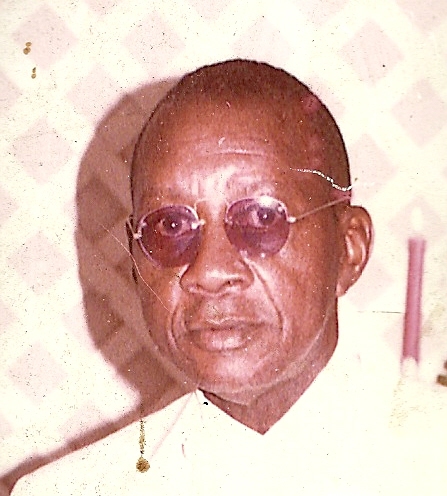 He was preceded in death by his grandson, Ernest "Pops" Sims; parents, James, Sr. and Annie White Lyons; brother, Louis Lyons; sister, Elsie Mae Nevis.